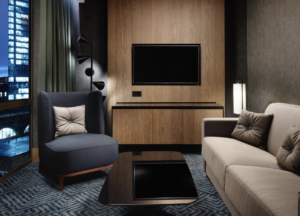 Hilton and Future Talent Council are announcing a partnership confirming that the Hilton London Bankside, representing the next-generation of design-led Hilton hotels, is the official hotel recommendation for participants of Future Talent Summit. Ideally located in the heart of Bankside and only a stone’s throw away from some of London’s must-visit landmarks including Tate Modern (300 metres, a 3-minute walk) – the home of Future Talent Summit. Once you have applied to attend Future Talent Summit, and received an approved invitation, make your hotel reservation using this link (to receive the Future Talent Summit hotel rate). Accommodation is not included with your registration. Choose from a range of stylish, contemporary guest rooms with a larger than average London floor space. All rooms include complimentary WiFi, Hilton Serenity Bed, 42-inch HDTV, ergonomic work desk and chair. All rooms booked for Future Talent Summit also includes inclusive of English breakfast. Sitting in the heart of London, Hilton London Bankside is also just a stroll away from some of the most visited landmarks in the capital, such as Shakespeare’s Globe and The Shard. From Heathrow it is a 38 minute drive to Hilton Bankside, from Gatwick 27 minutes and City Airport 29 minutes. 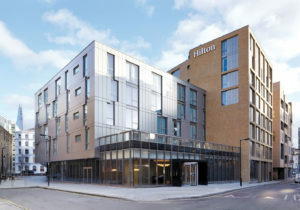 You also reach Hilton Bankside via the Underground (Southwark, Jubilee Line – 5 minute walk). Read more about Future Talent Summit – and see the full agenda – here. The Future Talent Council is a global strategy group focused on understanding and influencing the future of talent and work. We engage the foremost educational, political and business leaders of society to shape global, regional and industry agendas. Enter your email address to subscribe to the Future Talent Council newsletter. We will not spam you. Ever. Only send cautiously edited updates. To address the pending global employment issues, The Future Talent Council (FTC) was formed in 2017 by Lars-Henrik Friis Molin, the founder of Universum Global and numerous other companies. Future Talent Council is based in Stockholm with offices in Singapore, Sydney and New York.